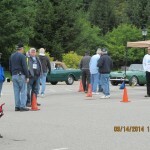 The Autocross was held across the street from the hotel. 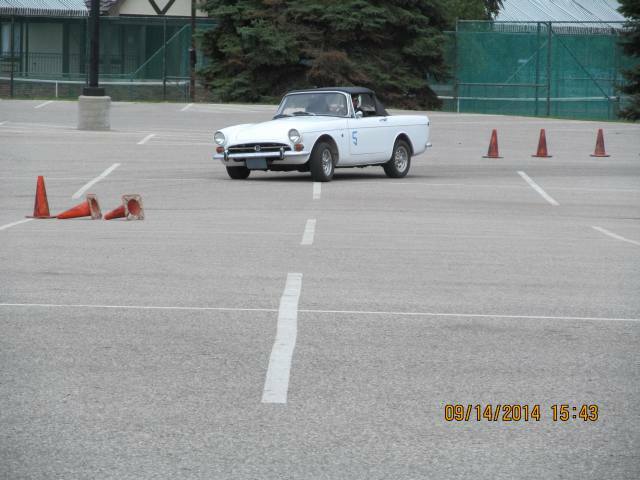 The weather held out and we had a dry course, if it was a bit chilly. 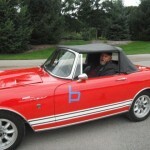 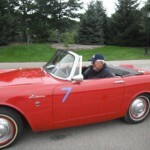 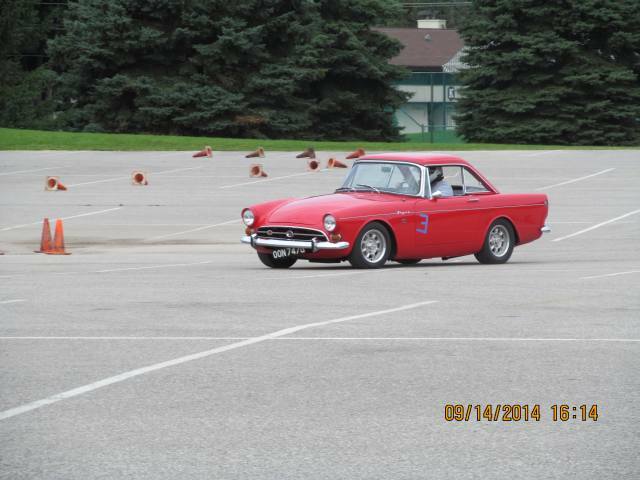 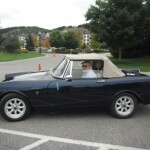 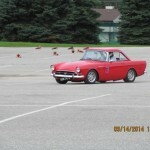 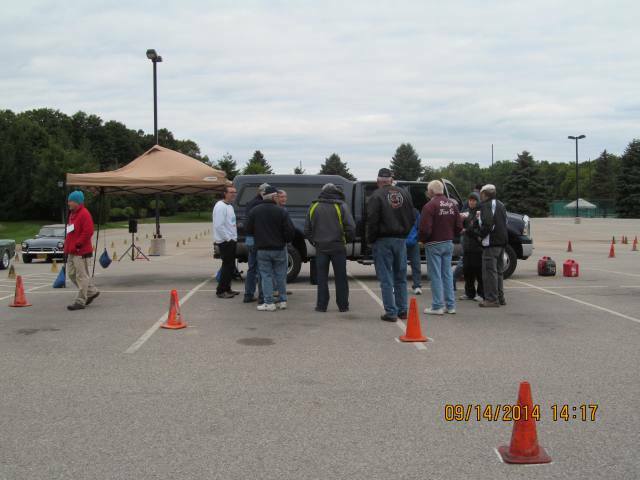 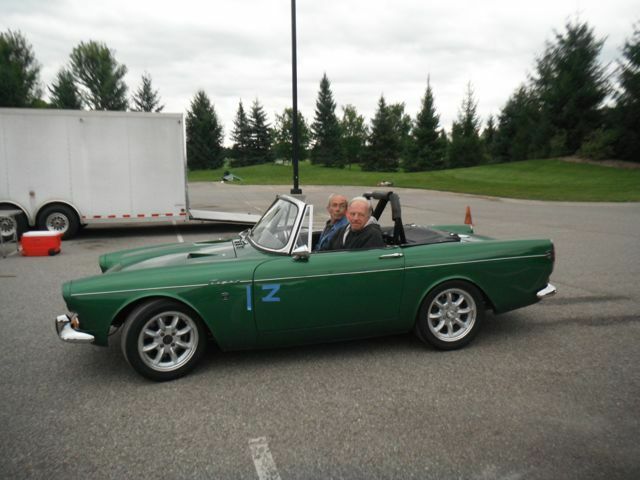 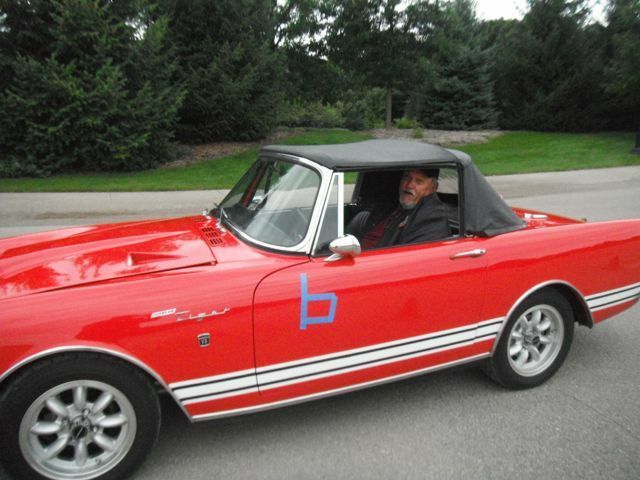 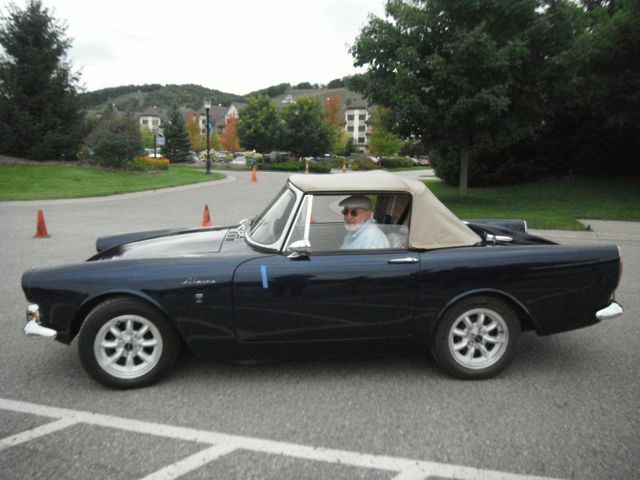 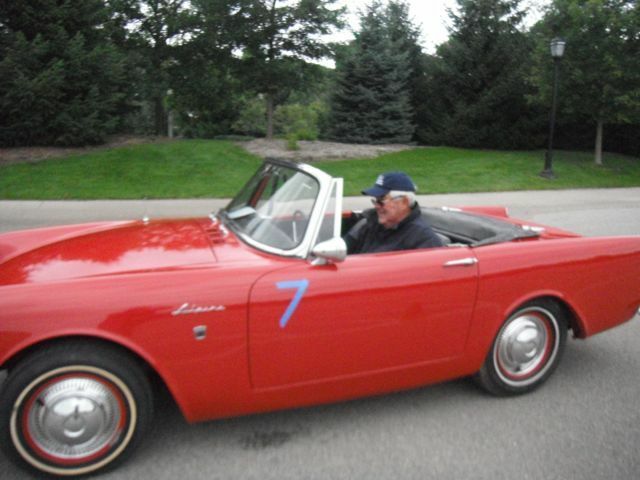 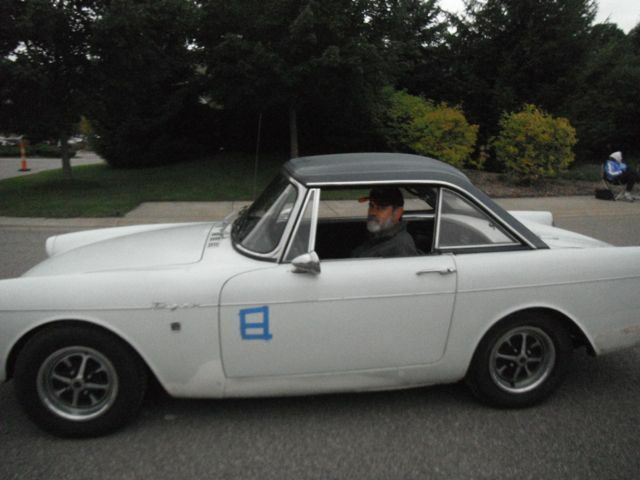 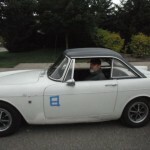 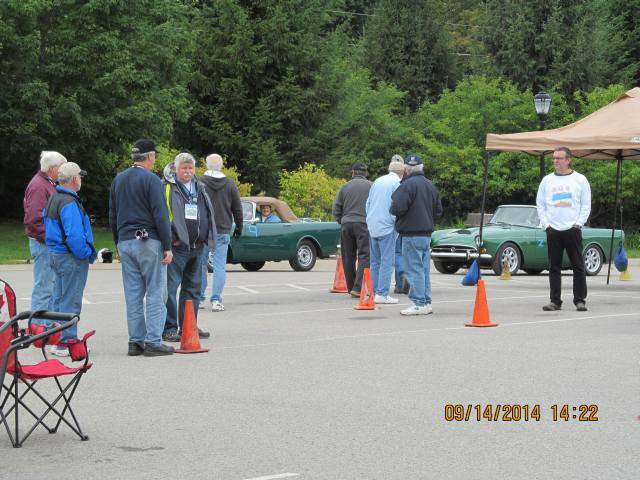 Barry Schonberger brought all of the equipment needed for an SCCA event and a good time was had by all. 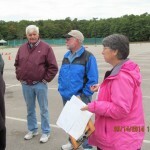 Volunteers arrived at the ridiculously early hour of 7 am to set the course up for the drivers who arrived at a more civilised 8 am. 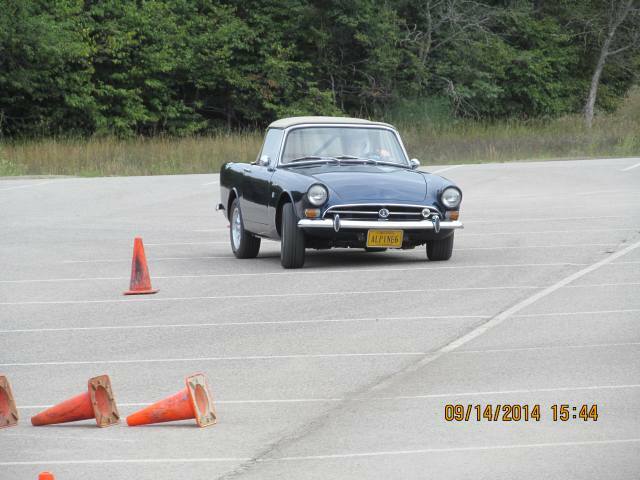 (The time stamps on some the photos are clearly off a few hours!). 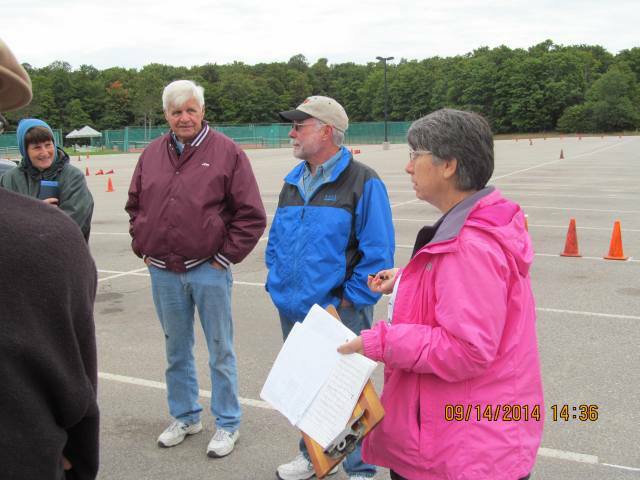 After setting up the corner positions, briefing the drivers and leading a walk though of the course Barry turned Master of Ceremonies duties over to Gordon Foss. 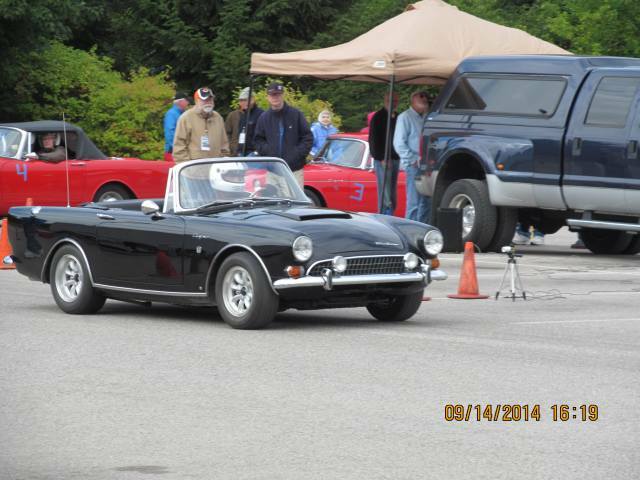 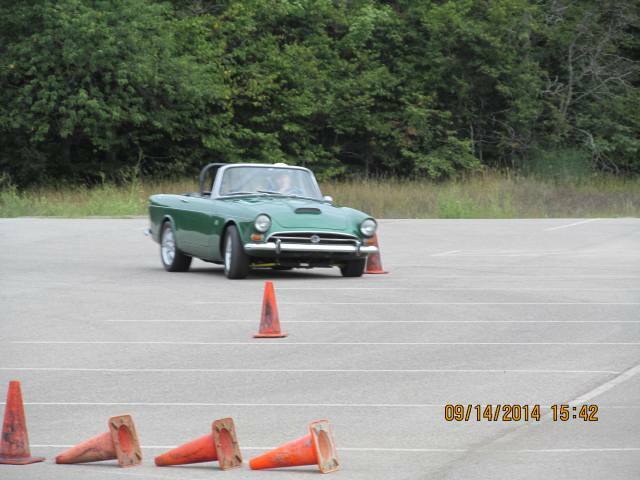 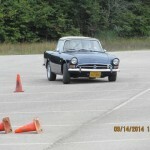 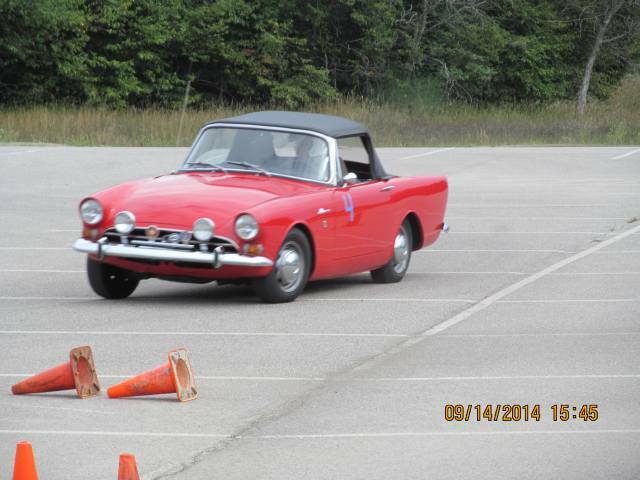 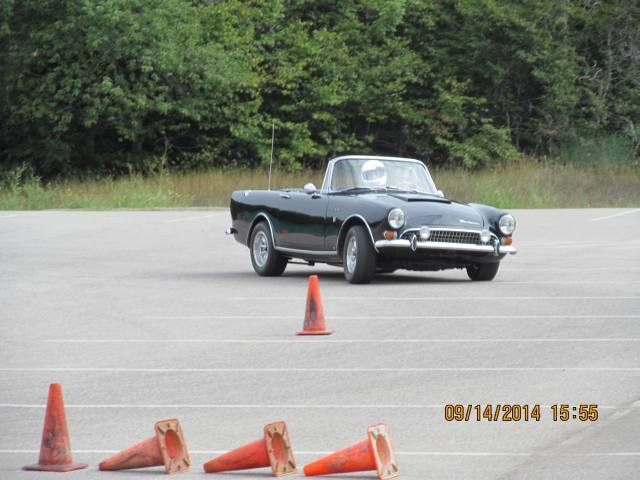 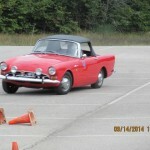 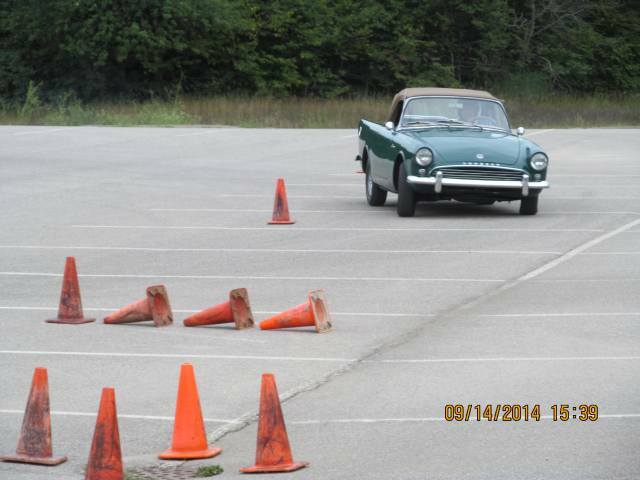 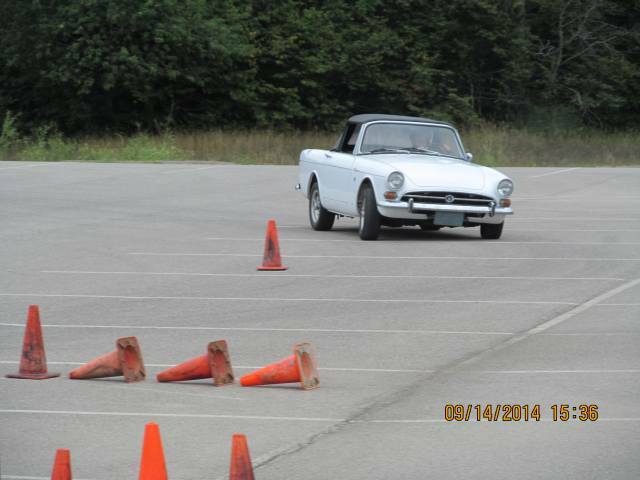 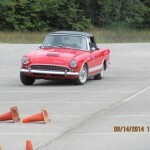 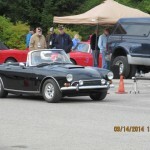 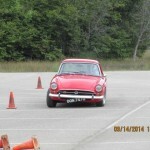 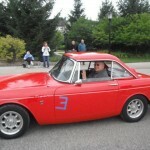 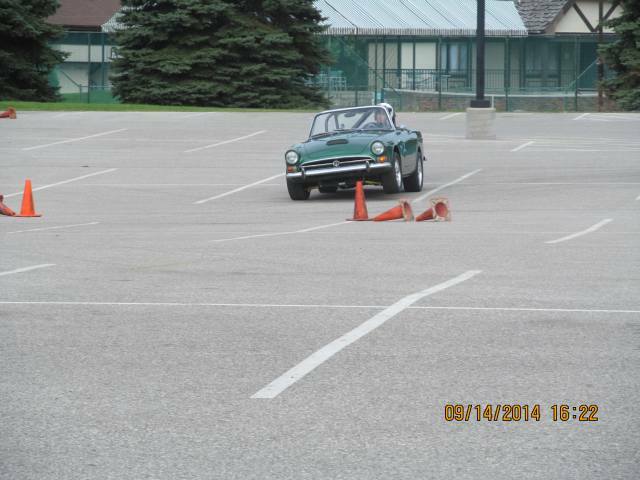 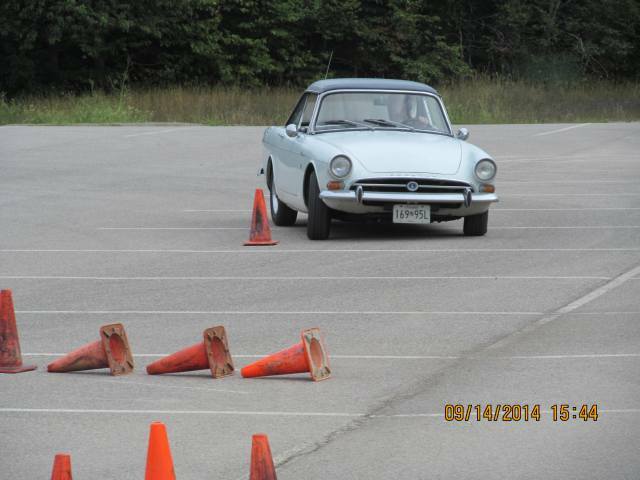 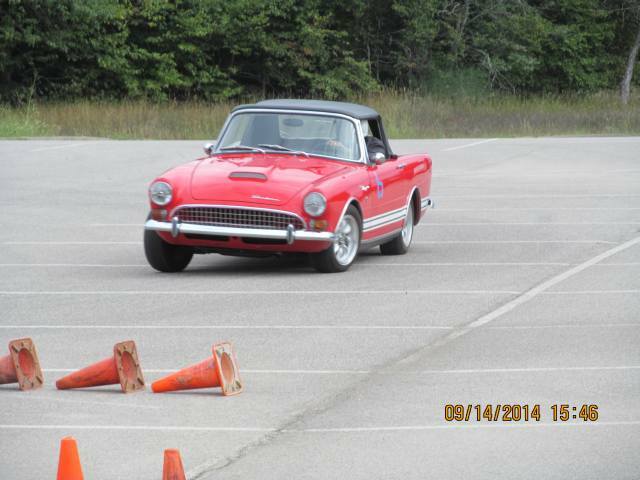 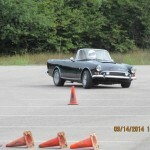 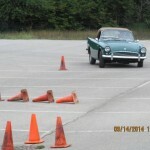 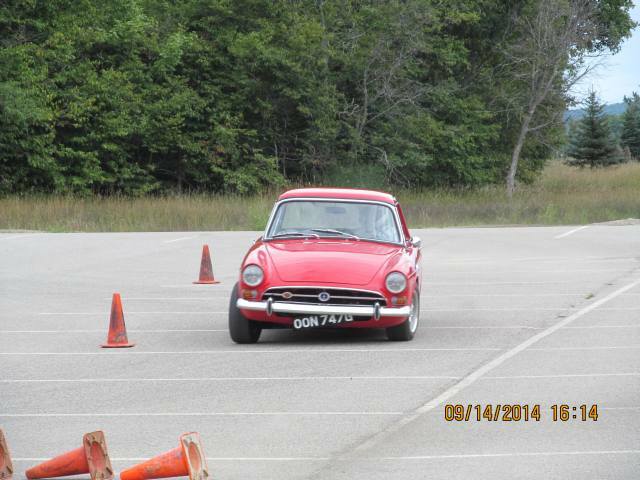 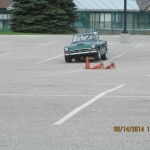 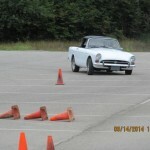 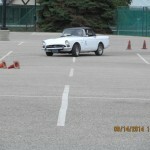 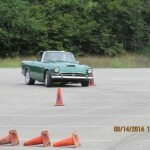 The drivers autocross skills ranged from the novice to the pro. 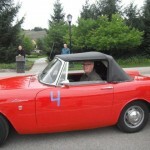 Harry Elam acted as the starter. 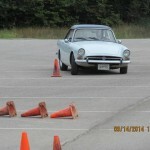 With the relatively small turnout each driver could have up to 10 runs, and most improved their times as the morning went on. 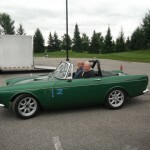 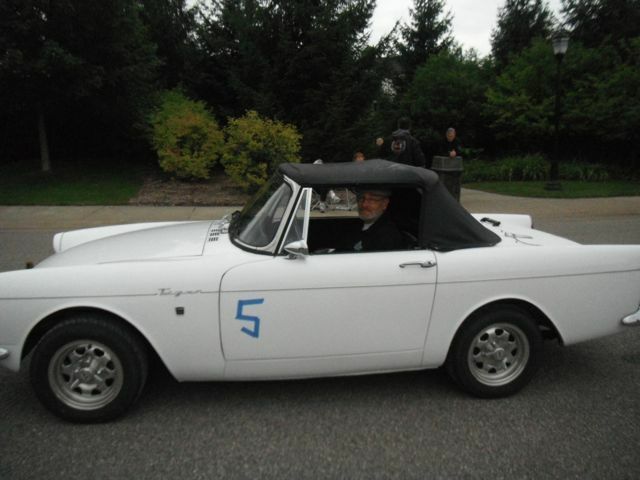 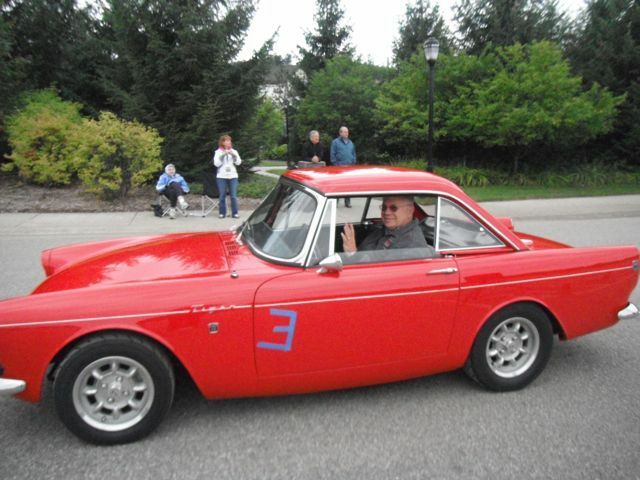 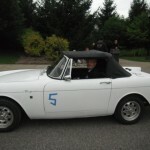 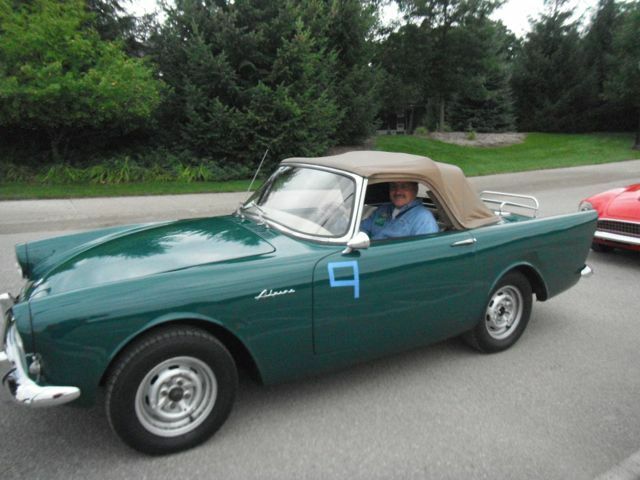 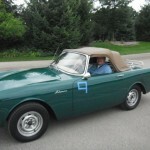 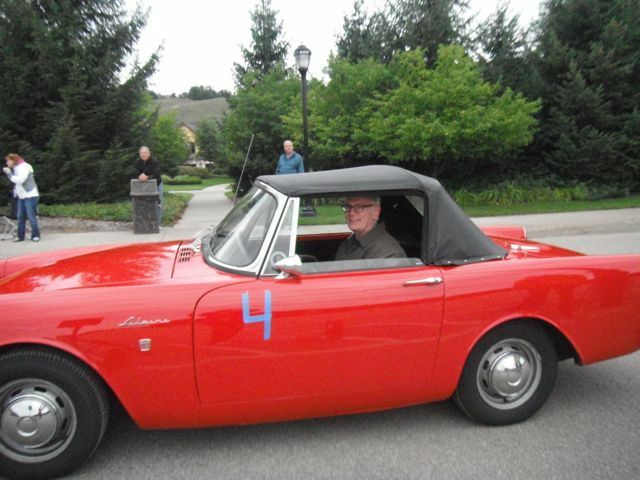 Thanks to Pam for taking the driver portraits as they lined up for the start and to Ken Johnson for the action shots. 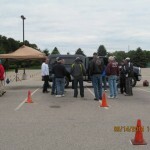 See a video of Nick Kitner and Tom Jeffers or of Larry Marrocca.